Our Oilfield Division provides fiberglass above-ground storage tanks for use in oilfield applications. We have a full line of crude oil and produced water storage tanks, as well as tanks fit for saltwater disposal purposes. Additionally, we provide a variety of smaller products such as equipment and data logging enclosures, manifold covers, and weather enclosures for well heads. 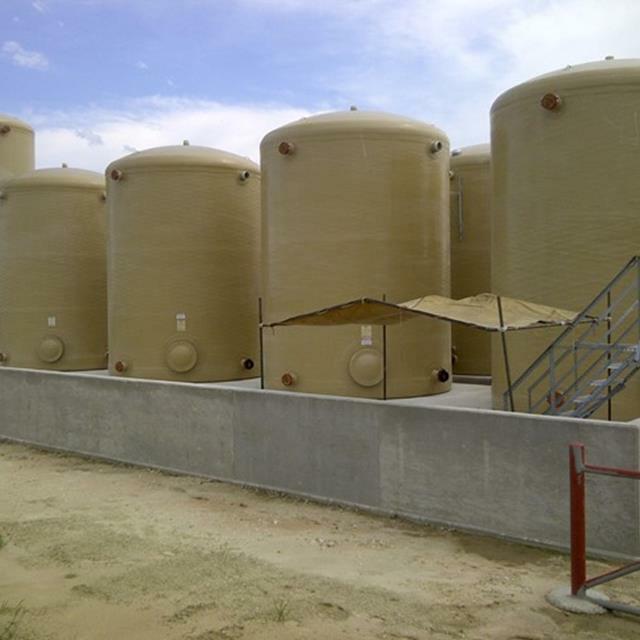 LFM’s fiberglass oilfield tanks present outstanding value on several levels when compared to steel tanks. We have been a leader in the fiberglass tank industry since 1974, and we were the first oilfield tank manufacturer in the United States to achieve the API 12P certification for our tanks. We utilize the latest equipment available in the industry today, which allows us to supply our customers with the very finest quality fiberglass oilfield tanks. 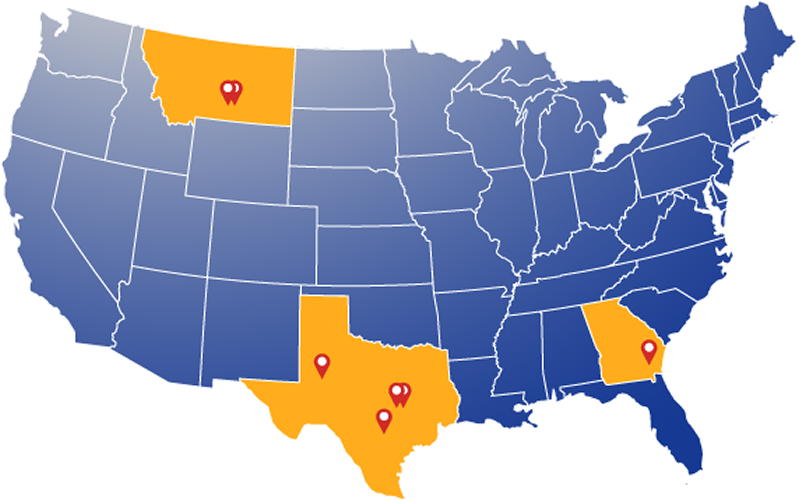 Headquartered in Giddings, Texas, LFM maintains production facilities across the United States to provide timely service to customers operating in the Permian Basin, Bakken / Niobrara Shale, and Eagle Ford Shale. No matter what specific challenge you face, LFM can guide you through the entire scope of your project. From CADD services for custom applications through technical support, budgetary estimates, mold fabrication, transportation, and field service after delivery, we are here to serve you. For tanks configured in a battery, EPA vapor recovery requirements may stipulate that each tank may need to be rated up to 16 ounces of air pressure with a 16-ounce thief hatch. All LFM oilfield tanks used for this purpose are available in reinforced configurations that easily comply with the applicable EPA regulations for vapor recovery. Contact your LFM sales representative for more information about our oilfield tanks and their compliance with EPA regulations. 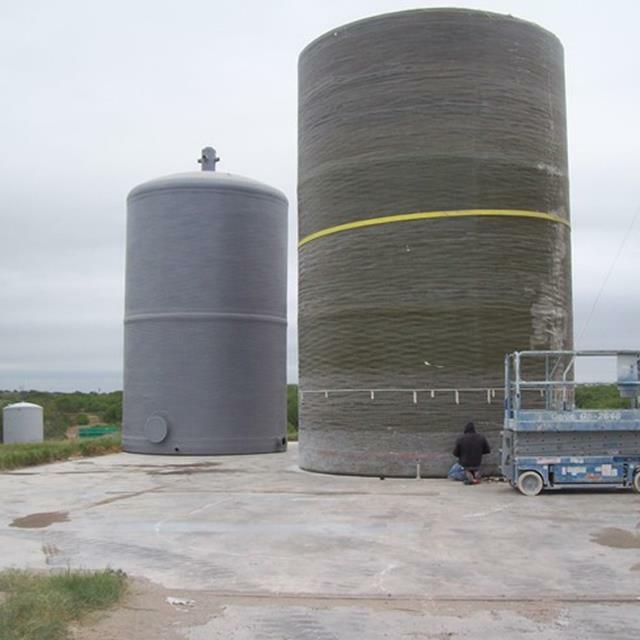 LFM’s fiberglass oilfield tanks, when manufactured with certain FRP resin systems, can service multiple processes. Each resin type is resistant to a wide range of chemicals and temperatures. Additionally, certain resin systems we use can include fire retardants, as required. Our fiberglass oil tanks are corrosion resistant, which eliminates the need for extra corrosion protection, such as external painting and internal coating. Further, the anti-corrosive nature of our tanks greatly reduces the risk of environmental contamination due to leaks or spills. 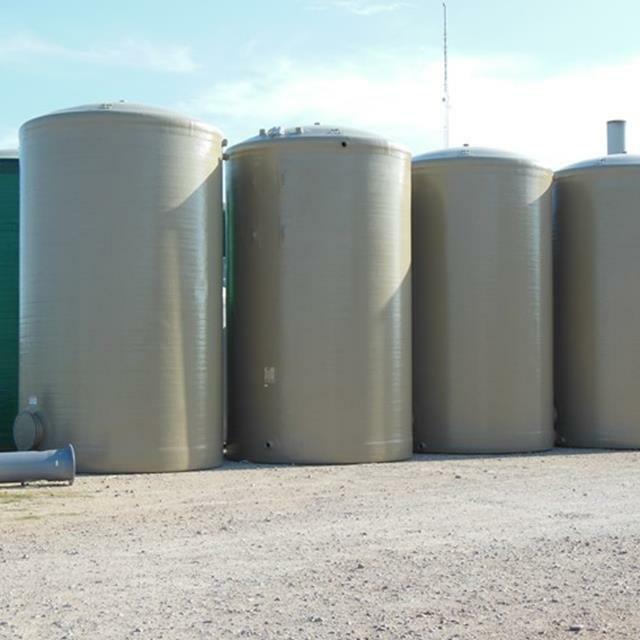 LFM’s fiberglass oilfield tanks present an outstanding value when compared to steel tanks. Our tanks have a longer service life than steel tanks, which translates into replacement cost savings. LFM maintains numerous certifications for both technical and quality assurance programs, including API 12-P and ISO 9001. In addition, LFM has been awarded the ASME RTP-1 certification, making it one of only a small number of companies in the United States that can design, fabricate, and code stamp fiberglass vessels to the most comprehensive industry standard for reinforced thermoset plastic (RTP) equipment. Each structure we manufacture is archived with the production and inspection documents showing raw material usage, wall thickness, resin qualities, fittings, and accessories. These documents are maintained on site for future reference and customer inspection. LFM’s fiberglass products are designed and manufactured for your specific application. We meet or exceed industry standards to insure long and trouble-free service. The final tank design depends on such factors as operating temperature, chemical environment, specific gravity, wind, seismic loading, agitation, and pressure or vacuum applications. Our fiberglass tanks are available in standard sizes (400 bbl, 500 bbl, 750 bbl, and 1,000 bbl), but they can also be provided in custom configurations to suit almost any size, shape, or service requested. Each of our products is manufactured by spray-up, hand lay-up, and the very latest in chop-hoop filament winding processes. 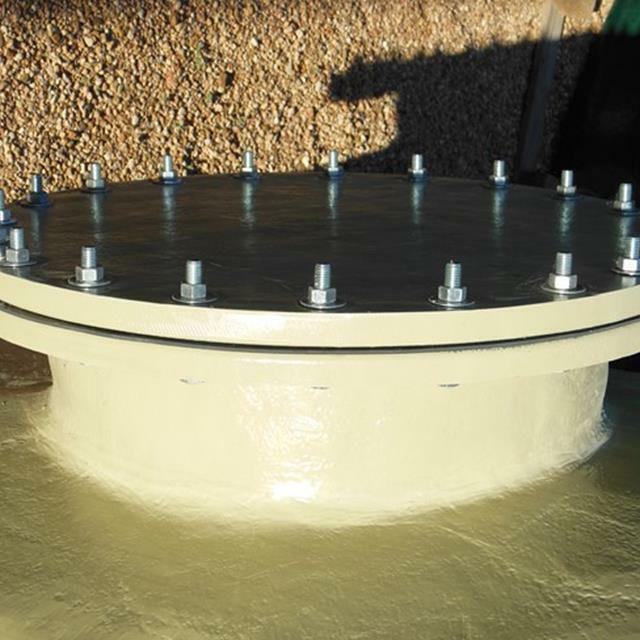 Standard tanks are available in diameters from 2’ through 15.5’, in support of a wide variety of tank capacities. 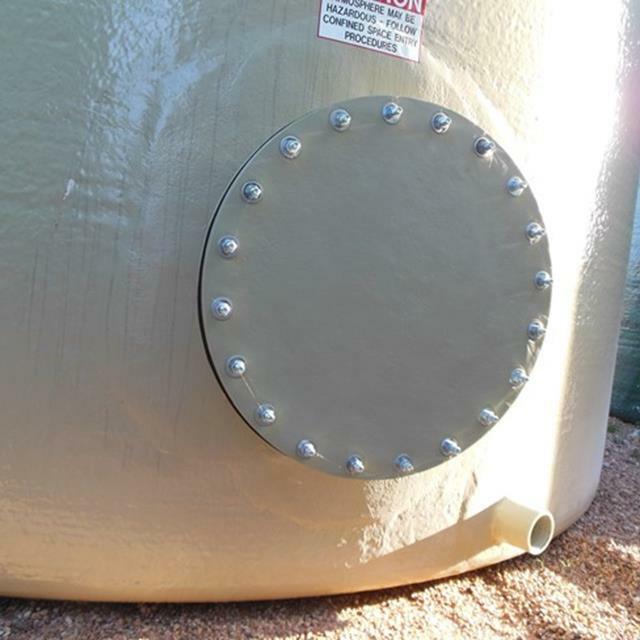 Our oilfield tanks can be manufactured to include a full range of accessories. Some of these include FRP flanges, manways, sight glasses, threaded couplers, leak detectors, insulation, ladder cages, heat tapes, and more. We also manufacture several different top and bottom styles including domed, sloped, flat, and conical. For more information on all the available options for your next oilfield tank, contact an LFM sales representative. LFM manufactures quality gun barrel oil & water separators. Our fiberglass gun barrels are fabricated to meet your required dimensions, and like all LFM products are available with a full line of fittings and accessories. LFM understands that static discharge is a tank issue, not a fiberglass issue. All tanks in the oilfield – steel, internally coated steel, and fiberglass – are subject to static current imbalance without proper grounding. As such, any tank of any composition can be struck by lightning without proper lightning protection to overcome static electricity. 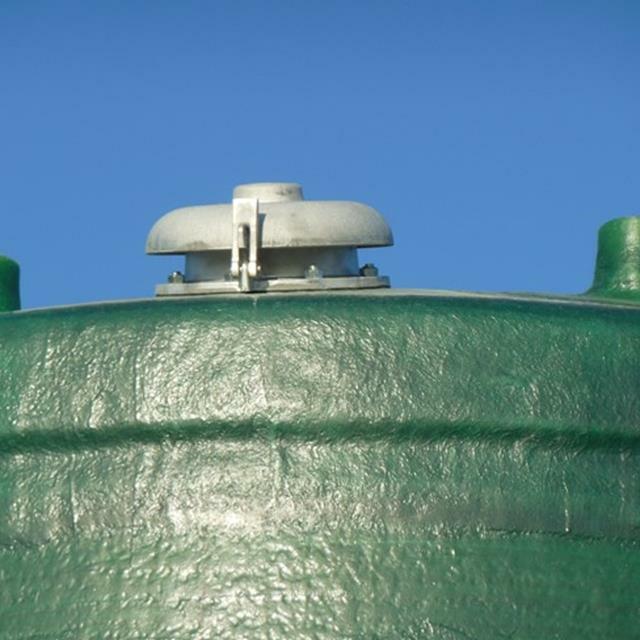 We offer simple grounding solutions for all of our oilfield tanks. And remember, even when including the nominal cost for proper grounding and lightning protection, fiberglass tanks cost 10 to 20 percent less than other options. LFM has its own fleet of delivery trucks specifically equipped to transport fiberglass tanks. We employ a professional delivery staff whose primary goal is to provide safe and courteous on-time delivery of our FRP tanks to our valued customers. Our fiberglass oilfield tanks are much lighter than steel tanks, making them more affordable to deliver and easier to handle during loading and unloading. These factors help to keep delivery costs low. At LFM, we stand behind the products we build. We offer a one-year limited warranty on our fiberglass oil field tanks. See the warranty section of our brochure for further information.